The Bullock Bar is situated on Ardmore Street and offers a classic New Zealand bar experience. Sports fans will not be disappointed with 16 large tv screens playing all the major sports events throughout the day and night. For those not content with just relaxing in a seat with a cold one, there are two pool tables, several dart boards, numerous gaming machines and even a large jenga set to keep you entertained. 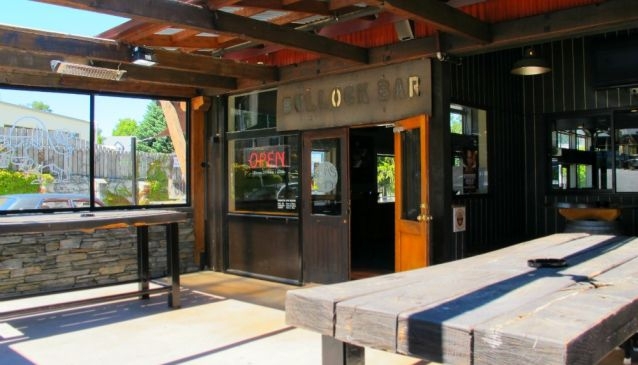 The Bullock Bar has several other notable features. As an annual recipient of a 'Beer master Award, the pub is recognised for its quality beers and cellar management. The bar also lays claim to the largest range of tap beers in Wanaka, which includes 'Brewski', the town's locally brewed beer. On Wednesdays there is a pub quiz, while on Friday and Saturday nights, live music sets the tone of the evening. Monday to Friday: 11.00 - 2.30am / Saturday and Sunday: 10.00 - 2.30am.